1 PACK DR720 (1 Drum) – Est. Page Yield – 30000 Pages, Brother DR720 Drum Unit. 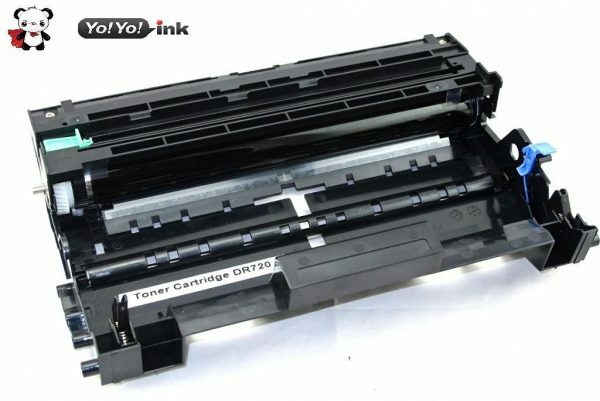 YoYoInk is a top seller for Compatible Brother DR720 Printer Drum Unit . These printer ink cartridges are of the highest quality as YoYoInk strives for excellent customer satisfaction with all its products. The Compatible Brother DR720 Printer Drum Unit comes with a money back, customer satisfaction, two year guarantee. Replaced the Brother 720 drum which was worn out. So far, no problems with it. Appears to be high quality low cost replacement . I ordered this Drum unit in January – it was delivered in 2 days, and the price can’t be beat. I was not able to write my review until today, because the drum unit in my Brother MFC-8950DW still had some life left in it. Today I finally had to stop ignoring the “Replace Drum” message on the display screen and put in this new unit, as all of my printout had dark black spots along the edges, and the printed images were very dull looking. After removing the original “Brother OEM” drum and toner cartridge from my machine, I vacuumed out the loose toner from inside the printer, because I wanted to make sure that I was testing this new unit fairly. When I opened the box from YoYoInk containing the new drum, I had a hard time seeing any difference between the YoYoInk drum and a Brother OEM drum. I installed the new drum, along with a new toner cartridge, also from YoYoInk. I then went into the menu on the machine and reset the drum. I have now printed out about 150 pages using the new drum and toner. They look clean, crisp, and clear. It is as if I have a brand new machine. 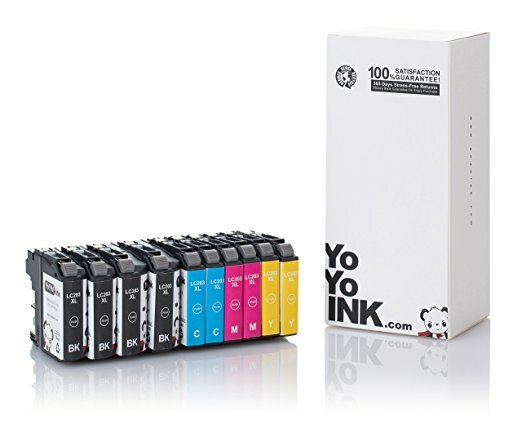 I will most definitely be buying all future drums and toner cartridges from YoYoInk. There is absolutely no reason to pay more just to have the name “Brother” on the package. We decided to give this compatible drum unit a try, and it works as well as the official Brother drum. The toner cartridge fits perfectly into the drum unit, and the two slide perfectly into our printer. I’ve done a few hundreds prints through it, and the quality is perfect. After 1500 prints, I’ll update my review. I’m changing my review from this morning. This drum lasted all of maybe 100 pages, then the wire under the green tab broke and the drum failed. BUT, and this is the good part, I contacted the seller (YoYoInk, thru Amazon), and was IMMEDIATELY sent a replacement as well as partial credit for my original purchase. Outstanding customer service. Stuff breaks. Happens. But if the seller makes good on warranty claims, them I’m good with the seller. I’ve raised my review level from one to four stars. I’ll update this review again IF there’s another problem with the replacement unit. VERY pleased with this purchase!! I have a Brother HL-5470DW printer that had hardly any printing done on it. Brother would not honor the warranty as it was just beyond the 90 days when I started using it. They had me buy a brand new toner only to realize it was not the toner that was the problem, it was the drum. I decided to buy this generic drum rather than spend $180 on a Brother brand. I couldn’t be happier. It prints beautifully, no paper jams, no issues at all. I figure I can buy four of these drums for the price of one Brother drum! talk about bang for your buck! December 2015 Update: still no problems with this drum unit. Printing has been absolutely perfect!! Very glad I purchased. Works great with our printer no complaints. At first when I installed it the printer continued to tell me the drum unit needed to be replaced and I thought that was because its not OEM, but I looked into it and I just had to manually reset the drum unit counter. I found the directions on the brother site of how to do that. I just do basic text printing, nothing fancy and for this it gets the job done at a price that makes me very happy compared to OEM units. My old brother OEM drum unit actually used to print three black spots on each page in the same spot every time and since installing this new unit the spots are gone which is a plus for me. So far so good, I’m a signing agent, documents must be printed clean and readable. Great price, delivery the following day . I’m very satisfied with this purchase. I like it. Quality is great and price is wonderful. I am satisfy and recommend to purchase this drum unit. Good product, better than cheap remanufactured drum. I am an office manager, it is really good. Great price, and so far the toner I purchased earlier and this drum are working just fine. When you work in a small church, toner prices can be a real hindrance. 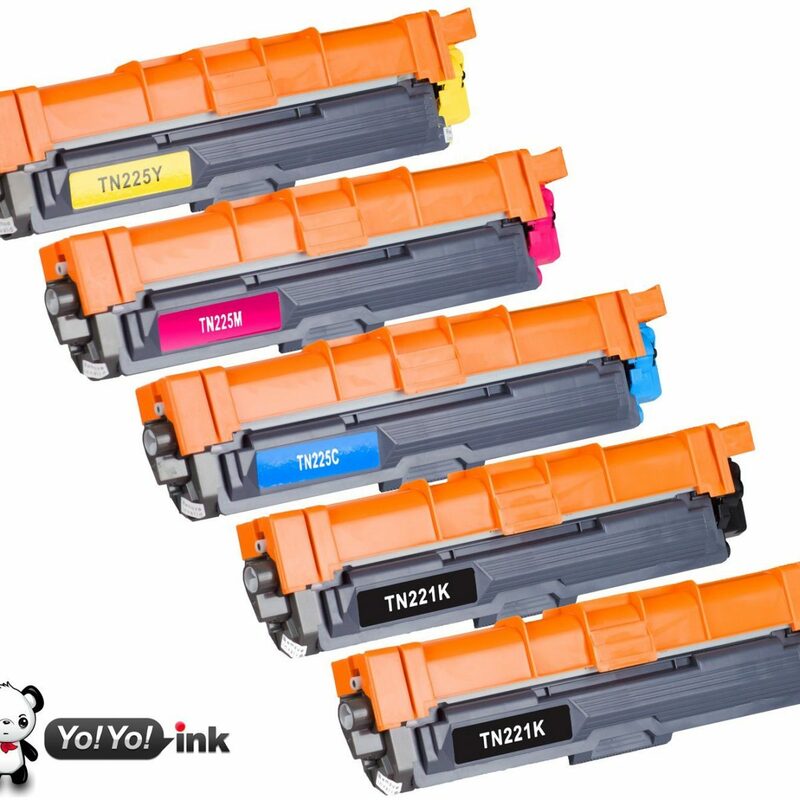 Fortunately, there are a lot of companies, including YoYoInk, who offer an invaluable service of providing compatible toner cartridges that don’t break your office supply budget. 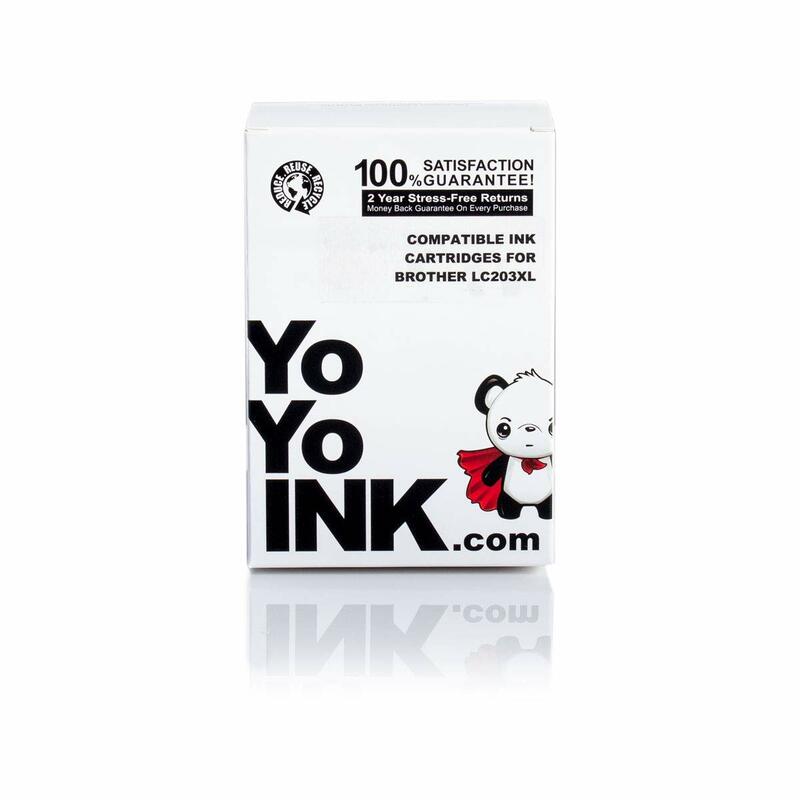 The cartridges we’ve purchased from YoYoInk have probably been some of the better “compatible” toner cartridge products we’ve purchased in the couple of years since we decided to purchase our own high-quantity printer instead of renting from a supply company. For the most part, they’re good quality and high yield, and so we are very satisfied with them and plan to continue picking up compatible cartridges to help save money and resources for our church. 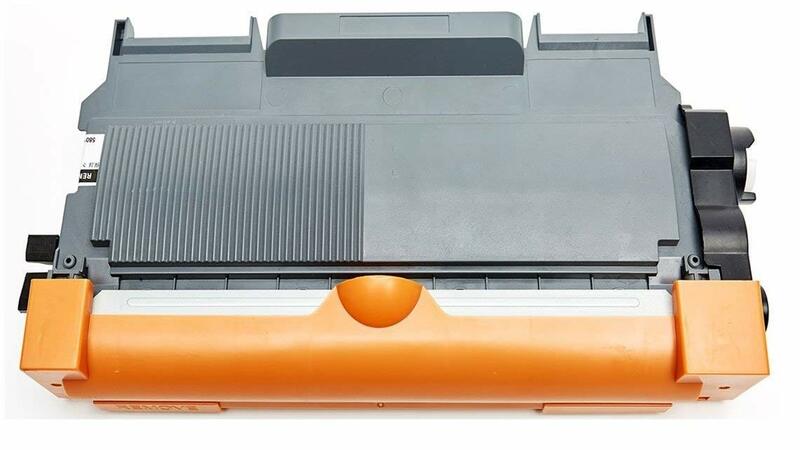 However, I give the cartridges/drum four stars because they do have a tendency to leave toner marks and flecks on a lot of the things you print. If you’re printing papers that require a lot of finish or presentation to them, this could be a problem. I’m not sure whether this is from the drum or the cartridges, but it’s likely a combination of both. Just a fair warning to those who might have problems with smudging in their printing. Thanks!! We have had very good customer service and we order our ink from you on a monthly /. bi-monthly intervals. I would recommend YoYoInk to anyone and everyone who needs / uses ink for printers!! Have been using the drum unit for 1-2 weeks and it seems to be working just fine. The price is excellent. If it continues to perform as well as it has been dong I will buy it again. Good product, worked as described and came in on time.